Pues si que son adorables y mucho, mis felicitaciones a tu hermana. lovely purchases!! I love the mouses and the cat. Lovely, Patty, what measures the mice(rats)? They look so tiny!! How adorable! I love the mouse, though everything is wonderful. What is the sign made of? Hola Patty, son unos regalos hermosos y tan entrañables por ser de parte de tu hermana, el gato es un amor! 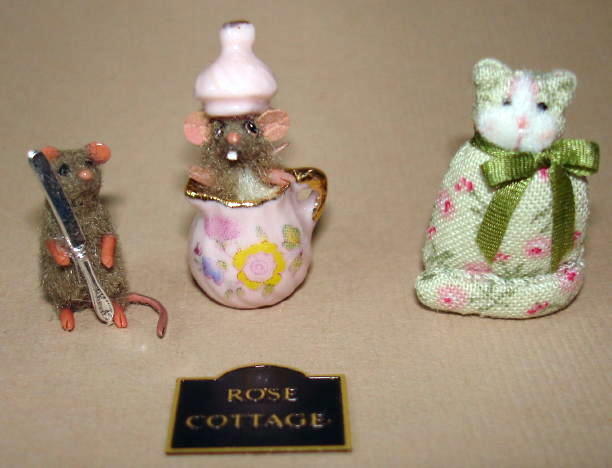 The mice are only about 1/2" tall. Catherine, The little sign is metal....I am not sure if it is brass. 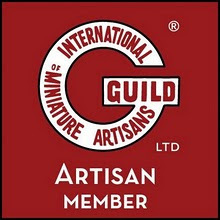 It will work perfect for the tiny house that I bought(kit).....LOL....I am collecting kits until I manage to put one of the several I have together. I'm bad......just seem to be collecting these days. 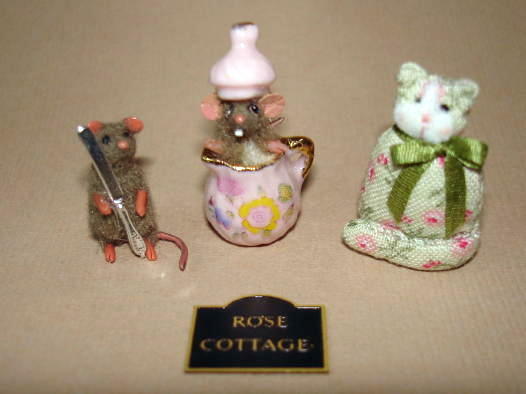 Lovely gifts!The mice are really cute, they make me think of the film Ratatouille. The little mice are adorable. I love the cat it has a very sweet face. The sign is great. To jest piękne! Jestem zachwycona. Uściski! This is beautiful! I am delighted. Hugs! Grazie per gli auguri di compleanno e per i regali ( ho visto le foto sul blog di Kaisa). Appena arriverà il pacchetto ti avvertirò. Wonderful gifts! The mice are so cute! Those littles are so cute. Wow! Wonderful gifts! The mice are so cute!